The Mizoram Underground Returnees’ Association (MURA), came down heavily on the Congress Government in Mizoram for not keeping its promises and failing to meet the demands of the association made through an agreement in 2013. The president of MURA, an association of former Mizo National Front militants, PC Lalthuama disclosed that they had agreed on a 10-point agreement with the Congress before the last Assembly elections. He further alleged that none of demands, except the housing scheme in part, were fulfilled by the party after it assumed power. Lalthuama further said that the state Congress had promised to offer housing assistance to the members of the assoication. 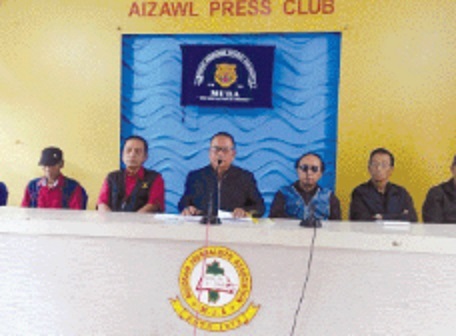 Interacting with media in Aizawl, the MURA president also disclosed that there are around 3,500 members in the association, but the Congress led government in the State has allotted land to only 45 members and offered land use police assistance to only another 35 members. He further alleged that the Congress had promised to offer suitable contracts to the members for self-sustenance and government jobs for those eligible or to their kin, but nothing has been done in the last five years regime. The MURA president also alleged that the Mizoram Home Minister R Lalzirliana had promised to recruit 10 members in the Home Guards last year, but that assurance also did not materialize. He further issued a deadline till June for their demands to be fulfilled failing which the association will be compelled to ‘review’ the agreement made in 2013.